During 2017 was Swedish MotorSport best in the world. World champions in 3 different branches. One of them was Thed Björk. 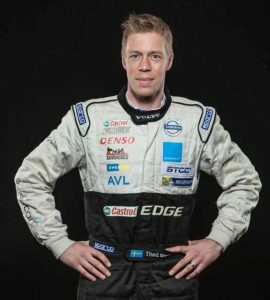 Thed Björk, 37 years, is a Swedish racing driver, and 2017 World Touring Car Champion. Other notable titles include the 2006 Swedish Touring Car Championship and the 2013, 2014 and 2015 Scandinavian Touring Car Championship. In interviews in TV and newspapers Thed has emphasized the mental training as one of the most important reasons to his success. He uses a special mental preparation program (developed by his mental trainer Jan Alriksson) before each race.